Please Leave Hair Tie Selection Here! BRIDE will always have tie pictured unless specified otherwise!!! *Color of comb and saying on combs cannot be changed, we only have what is pictured. 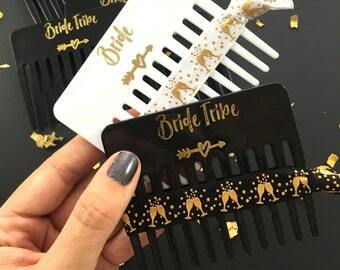 Your bride tribe will LOVE these hair tie & comb favors!!! They are the perfect way to thank your favorite ladies for celebrating with you! 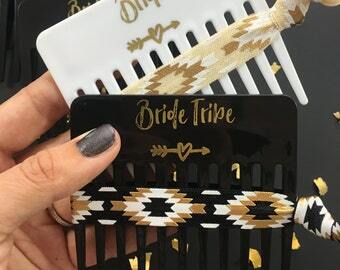 Each comb comes with the hair tie pictured. Checkout ordering instructions below. 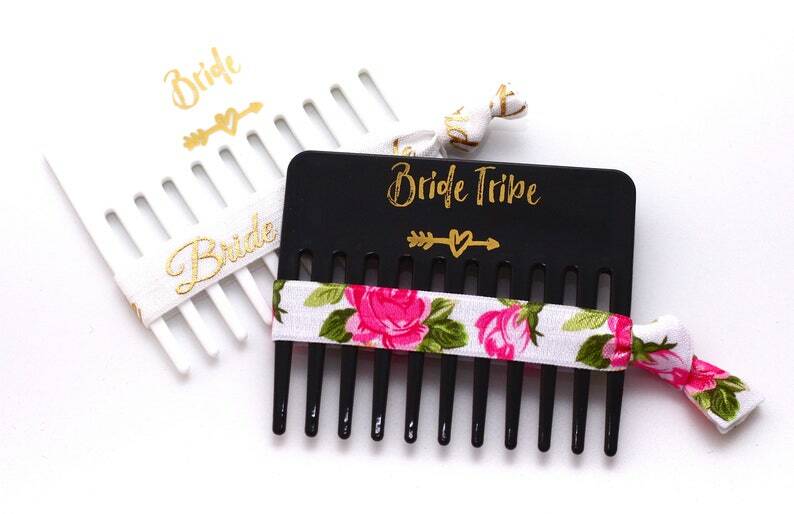 These favors make the perfect addition to your bachelorette survival kits or bridesmaid boxes! 1 | Select amount of combs you need from the drop down menu & add to your cart. 2 | IMPORTANT! Leave 3rd drop down menu set to 1, you already chose your quantity from the first drop down :) If you change it, it will multiply the cost. 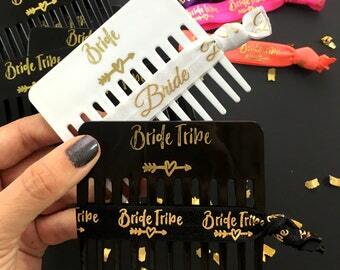 3 | Personalization Section | Please Leave your hair tie choices in the personalization section. 4 | Combs come as is, the color and saying can't be changed. 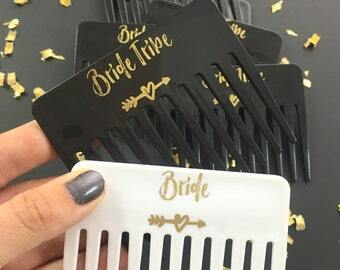 They each come in sealed clear plastic with the hair tie on top to protect the comb during shipping. When you receive them you can take the plastic off if you prefer.